The Secure Digital Input/Output card standard expands upon the original Secure Digital card standard, extending the functionality of many devices with SD card slots. The Secure Digital Input/Output card standard is based on the Secure Digital standard. 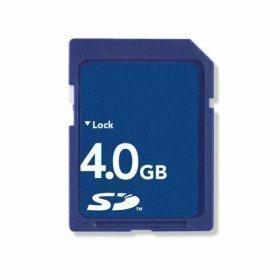 The SD flash memory format was designed purely for portable storage; many cell phones, cameras, GPS receivers and other portable devices (and even some video game consoles) use Secure Digital flash memory for data storage and transfer. The SDIO standard improves upon the SD standard by allowing devices that have SD slots to actually have completely new functionality, similar to how a USB interface allows a computer to use additional hardware. Typical devices that can take advantage of the added functionality of SDIO cards include portable handheld computers, laptops, and some cellular phones. Some examples of added functionality include wireless networking, television tuning, GPS, modem, camera, optical scanner, and even fingerprint recognition. Placing an SDIO card into an SD-only slot is perfectly safe for both devices, but SD slots will not work with SDIO cards. 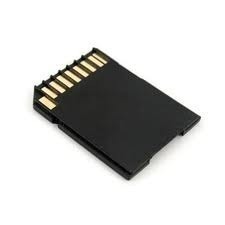 The SDIO card is compatible with the SD memory card host controller standards for electric, power and signaling software. SDIO slots can accept both SD and SDIO cards. Which evolved from the PC-Card (PCMCIA). 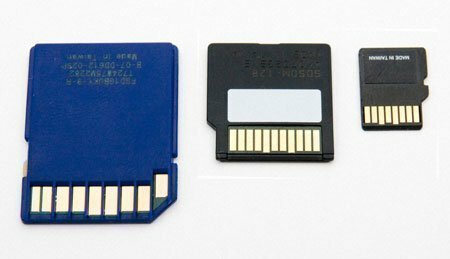 Also – Now a days – as most Cellphone vendors now hide the SD/Mini/MicroSD slots internally around the Battery compartment, the SD-IO option which often requires additional space, and easy replace-ability is much less usable. Hello, I have a HP iPAQ 214, which has a SDIO slot. I want to add a memory card but first need the adaptor for the card to fit into. is about 38mm wide x about 6mm thick. 113 queries in 0.441 seconds.